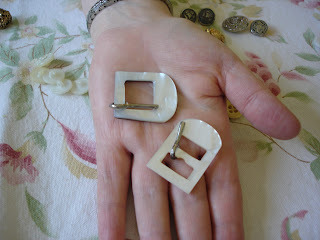 madly off in all directions: Button, Button Who's Got the Button? 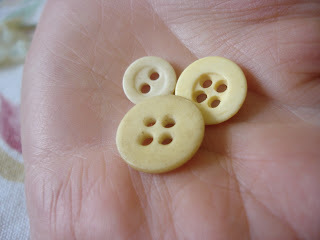 Whenever I have to compose a list of my interests - like for my blog or on Flickr - I often mention my love of buttons. 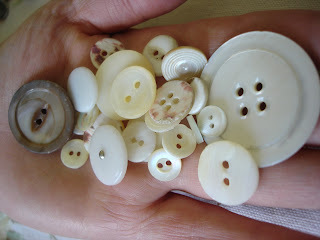 I recall being very young and going through my mother's button tin and the enjoyment found in such simple things. The colours and shapes and even textures of each little piece delighted me. 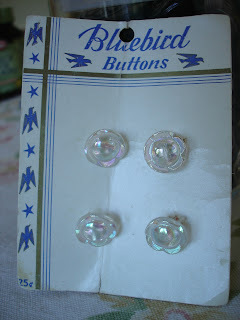 My sister and brother and I all learned to count with buttons. 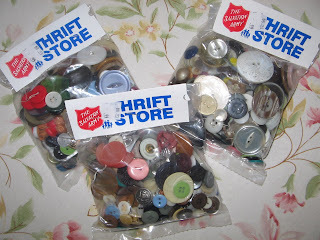 I still love buttons, especially bags of old buttons from thrift stores. 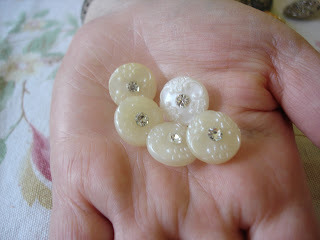 I love to bring them home and pour them out onto paper and sift through them all. I group them into colours and materials - shell, plastic, metal, glass - and cut out old threads left in from their previous owners. 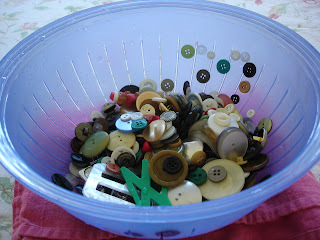 I pile them into onto a tea towel and dry them and sort them some more. As I go through them I can see the minds of the people these objects came from, the thrifty, the magpie, the hoarder, the collector. I can see myself in all those minds. I can see the organiser as well. 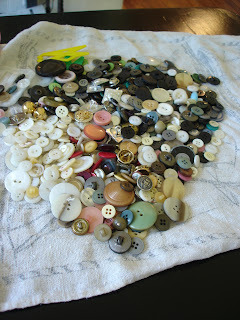 Did I ever tell you that I really love buttons? Thank you! 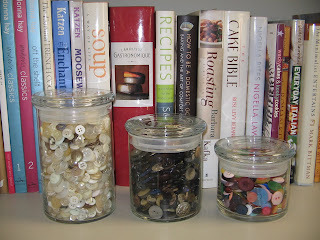 I've been wondering where to find inexpensive buttons so that I'd have a stash. :) How much did you pay for the packages? 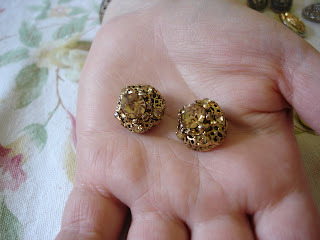 I bought them at a local Salvation Army Thrift Store for $.99 a bag. Luck isn't always included. 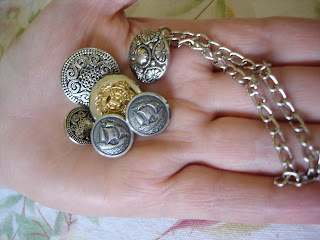 OH Gosh I love buttons also and have a ton of them. 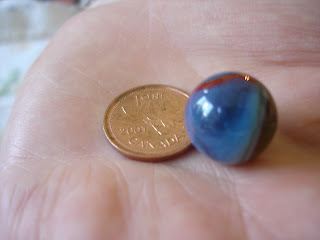 I think I have or had one (maybe I used it in a swap)like the pretty brown one you have alone in your hand.